Way back on Day 12 of our journey, we hit the high point in altitude, cresting out at 6000 feet near Bisbee, Arizona. Since then it’s been all downhill (right!). And now that we have hit the halfway point, it’s downhill to St. Augustine. Actually, we have descended and are currently around 1500 feet. Today’s ride starts downhill and finishes with a difficult 20-mile uphill slog. We see a lot of 5 mph on our Garmins as well as a lot 35 mph. Welcome to hill country. The roads are better here, and so is the scenery. We are always in search of oddities when we ride and today is a jackpot. Like this store. We thought they were out of business, but evidently ketchup is big business here. 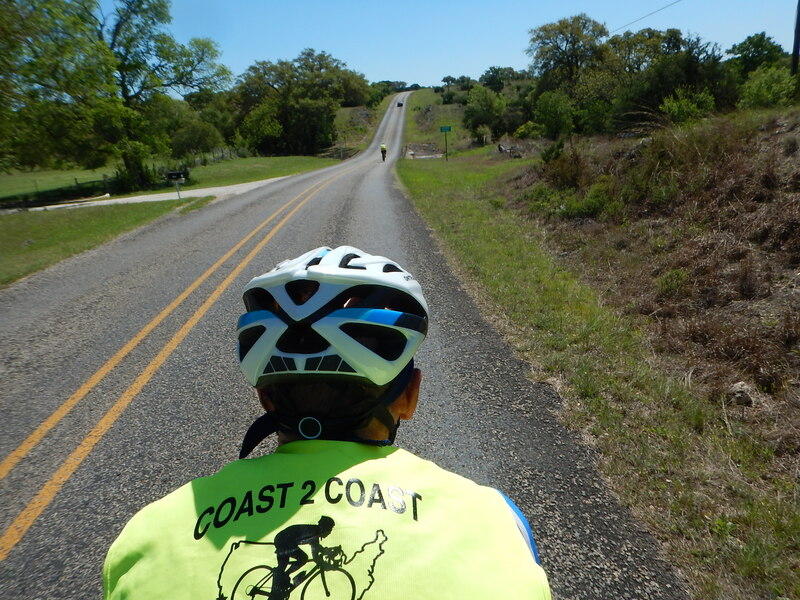 Our route takes us through the town of Comfort, TX. 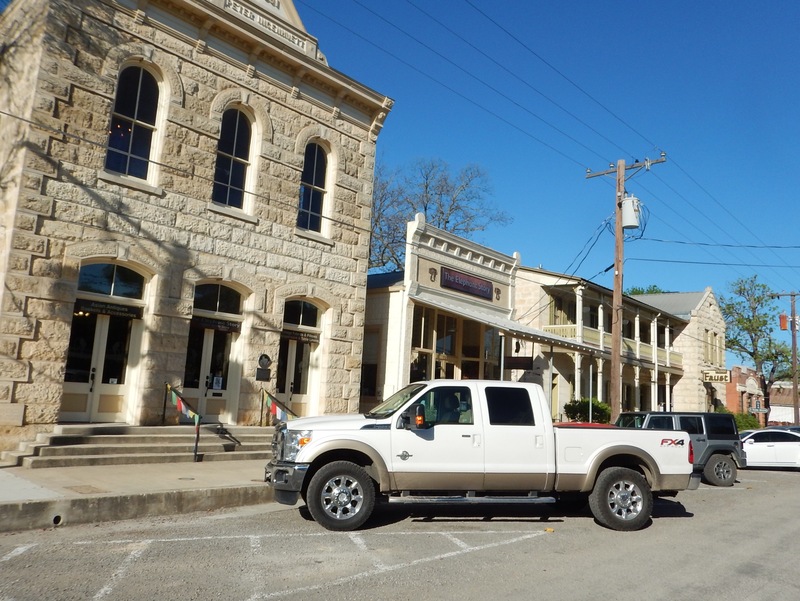 Did we mention that Texas is full of white pickup trucks? How about this gem in someone’s back yard? That is a F-8 fighter jet. They were popular during the Vietnam War. You wonder how he got it. 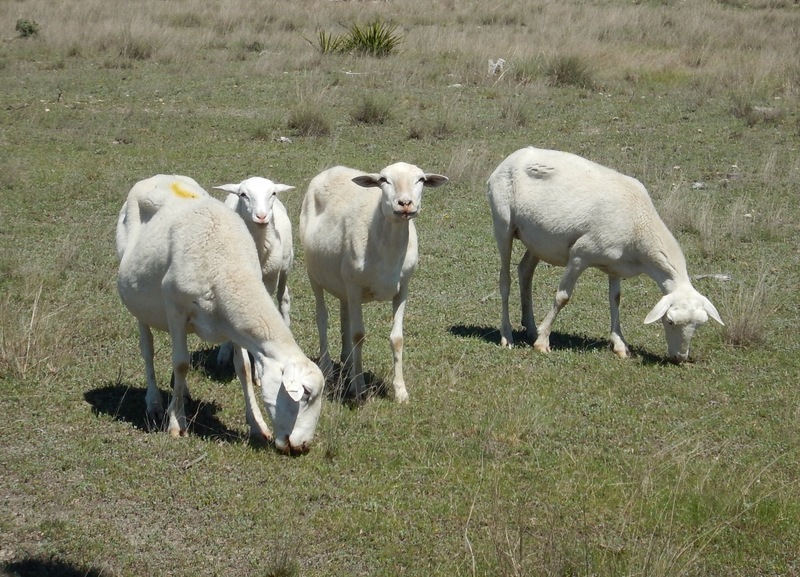 Then we ran across some photogenic sheep. We swear they posed for the photo. Eve is in search of bluebonnets. This is the best we can do today. Rumor has it we will see a lot of them tomorrow. Before we go, we can report that there’s a new Blizzard of the Month at Dairy Queen. We sample the Reese’s Extreme, with peanut butter cups and Reese’s Pieces. The salted caramel flavor that Eve orders is better. Tomorrow: Special guests for dinner. 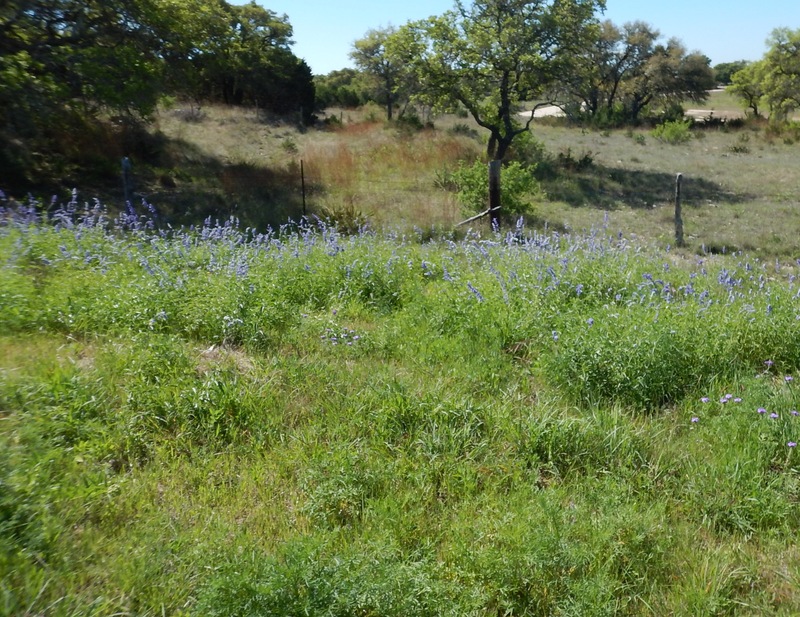 oooohhhh–south of marble falls. hope you don’t have a T-storm like we did last time!! This will not be the first time I have been called special. 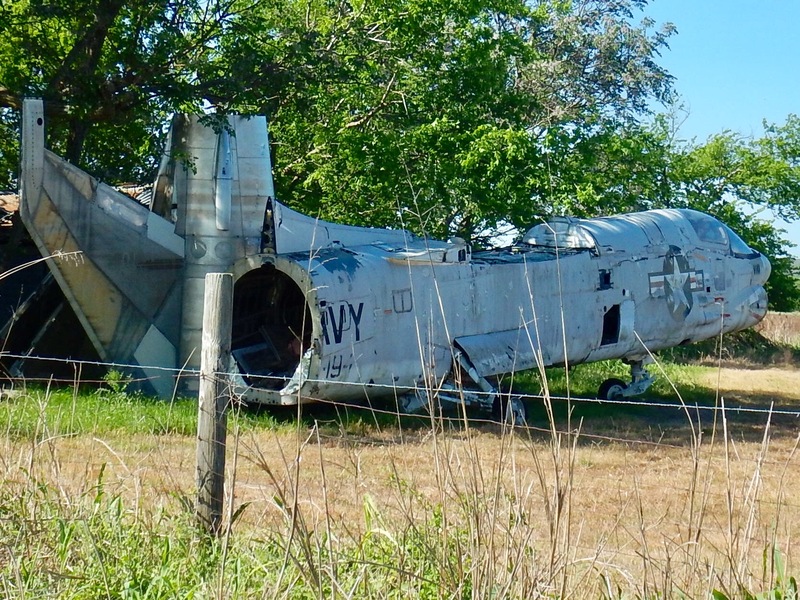 In your quest for “oddities”, appreciate that you are passing near Austin. The “Keep Austin Weird” karma radiates into some of the nearby towns. Enjoy. Have you seen your longhorns yet? Still longing for a longhorn. See ya soon. That must be really good ketchup! 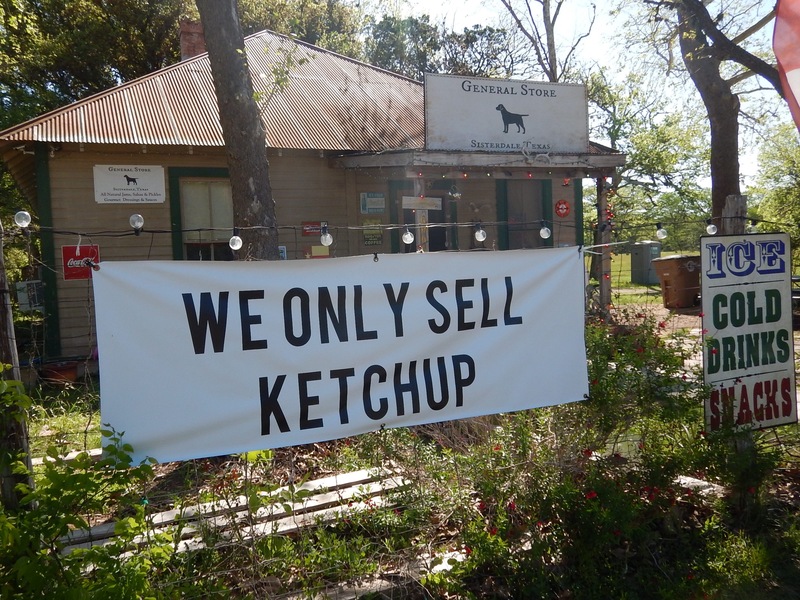 Did you buy or sample ketchup? That pilot was good! Just cleared the fence 😂 He was going for the 2 wire. Next Post Coast 2 Coast Day 29: Fighting The Wind for Pie!